In many hospitals there is a Ronald McDonald House. This is a guest house for parents and siblings of a sick child. The organization of this is in the hands of the Ronald McDonald House. 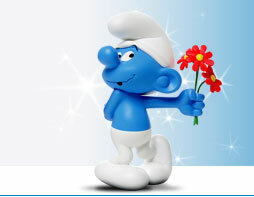 With buying this happy smurf you welfare a good thing. The benefit is for a home of children who suffer from cancer.